Toronto’s famous Pride parade was interrupted by members of the Black Lives Matter group, which halted the march for about 30 minutes. 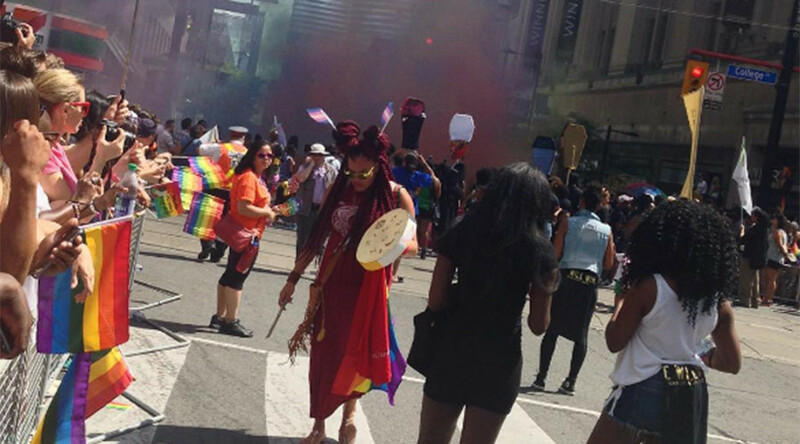 Black Lives Matter Toronto addressed the issue of anti-Blackness within Pride Toronto. The group, which received Honored Group status at the parade, stopped their float during Sunday’s march for around 30 minutes, not allowing others to proceed until their demands were met. The situation was resolved as Pride Toronto agreed and signed the list of demands, which allowed the parade to resume. Some of the demands included a commitment to increasing representation among Pride Toronto, prioritizing hiring of black transgender women and indigenous people, as well as excluding police floats from the parade. The parade kicked off Sunday 2 p.m. local time, with dozens of roaring motorcycles driving down Bloor and Church streets in Toronto, with the rainbow flag clearly displayed. The parade paused at 3 p.m. in memory of the 49 victims of the anti-LGBT attack on an Orlando nightclub. Some people who attended the march carried signs for the victims. The Pride parade made history this year after Justin Trudeau joined in. Trudeau became the first sitting Prime Minister to ever march in the event. Other politicians have joined him this year too, including Ontario Premier Kathleen Wynne and Toronto Mayor John Tory. “Canada is united in its defense of rights and in standing up for LGBTQ rights; this is what we are truly celebrating today,” Trudeau said on June 1 when he kicked off Prime Month in Parliament Hill.